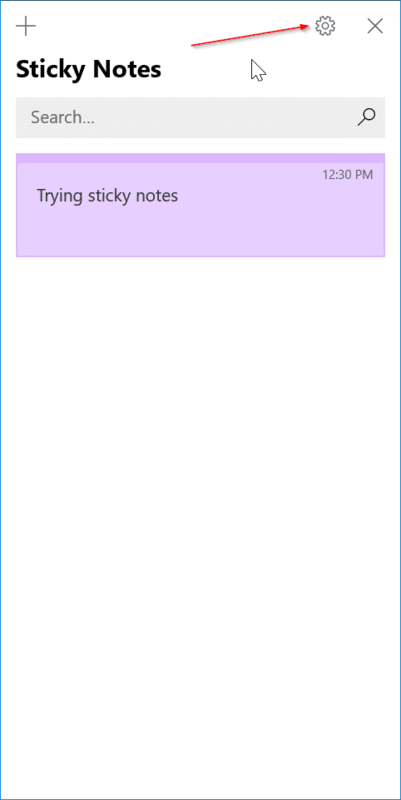 Microsoft recently updated the Sticky Notes app in Windows 10 to version 3.0 to add new features and options. The updated Sticky Notes app supports cloud syncing, gets a new dark theme, and there is a new formatting bar with formatting options. 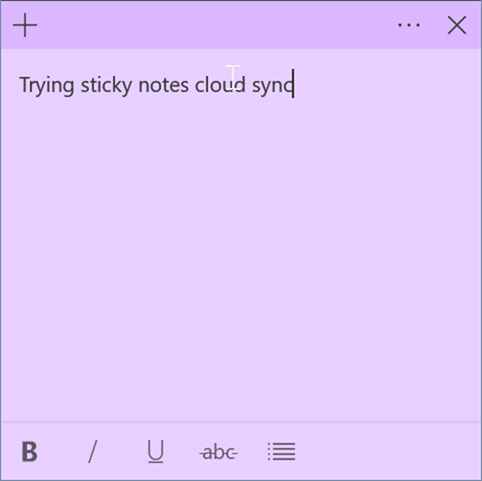 With the cloud sync feature, you can sync notes in Sticky Notes app across your Windows 10 devices by signing into to Sticky Notes app with a Microsoft account. 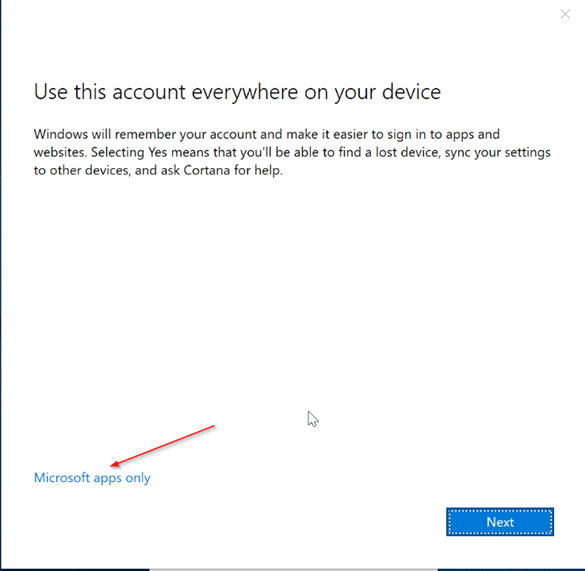 The best part is that the feature is available even for users who are using a local account to sign in to Windows 10. If you are using a local account, you just need to sign in to Sticky Notes app. 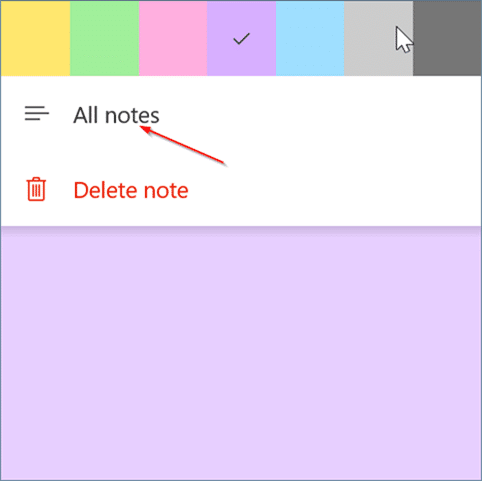 With default settings, the current version of Sticky Notes app doesn’t automatically use your Microsoft account details to start syncing notes even if you are using a Microsoft account to sign in to Windows 10. You will need to manually sign in to Sticky Notes to begin syncing notes. 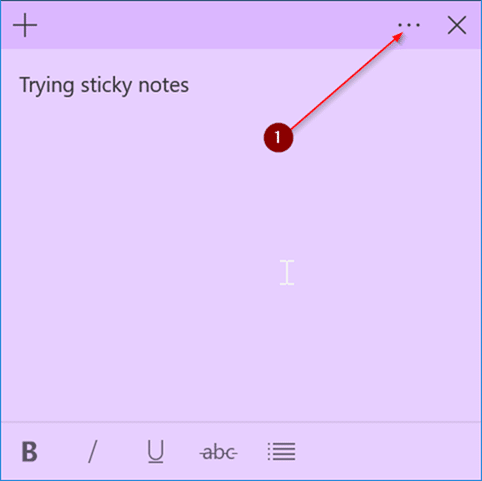 In this guide, we will see how to sign in to Sticky Notes as well as how to sign out of Sticky Notes app in Windows 10. NOTE: Cloud sync feature is introduced with Sticky Notes version 3.0. So, make sure that you are running Sticky Notes 3.0 or later before proceeding further. Step 1: Launch the new Sticky Notes app. 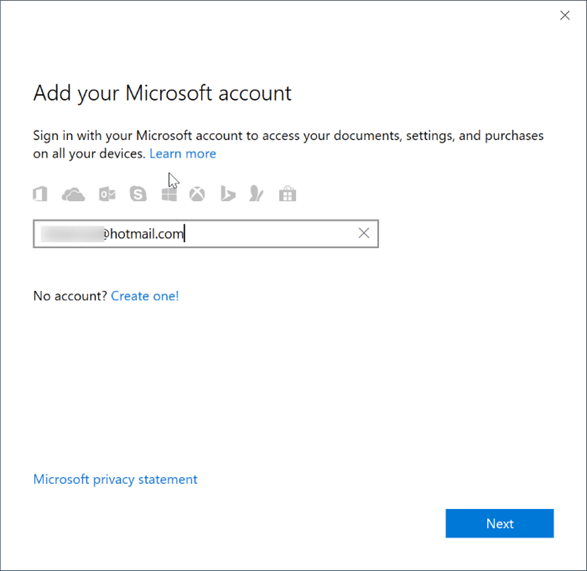 Click the Sign in button to see Add your Microsoft account dialog. Step 2: Select Microsoft account or Work/school account and then click the Continue button. If you are using a Microsoft account to sign-in to Windows 10, you will see that account at the top of the list. Click on it if you would like to use it to automatically sign into Sticky Notes. 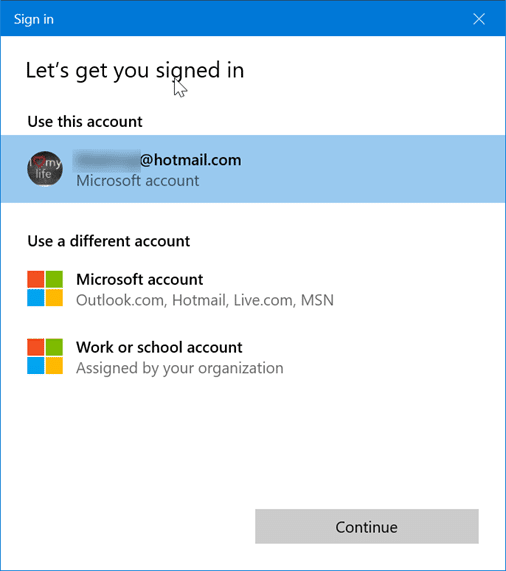 Step 3: Type in your Microsoft account email address that you want to use to sync your notes and then click the Next button. Step 4: Enter your Microsoft account password and then click the Sign in button to sign in to Sticky Notes and start syncing notes. 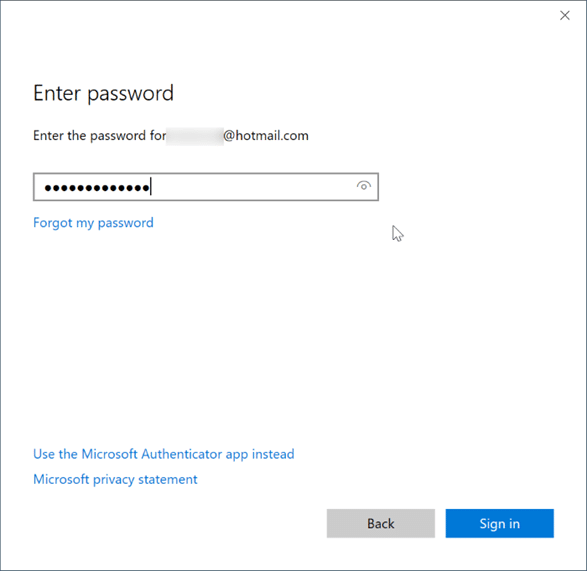 Note that if you are signing in to Windows 10 with a local user account, you will get the following dialog upon entering the password and clicking the Next button. 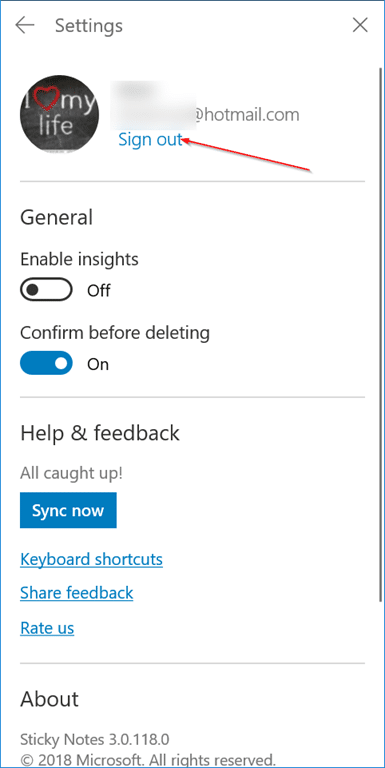 If you would like to continue using the local user account and want to sign in to only the Sticky Notes, be sure to click Microsoft apps only link instead of clicking the Next button. 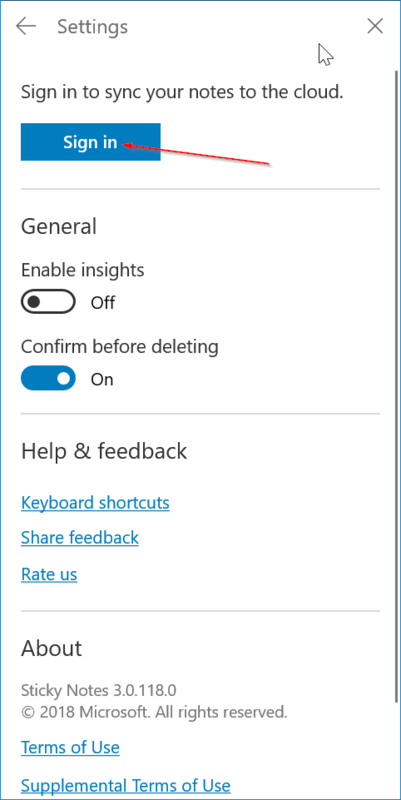 Clicking the Next button will migrate your local user account to Microsoft account. Step 1: If you see your notes (instead of home screen) upon launching the Sticky Notes app, click the Menu icon (…) next to the close icon and then click All notes option to get the home screen of the Sticky Notes. Step 2: Here, click on the gear/settings icon. 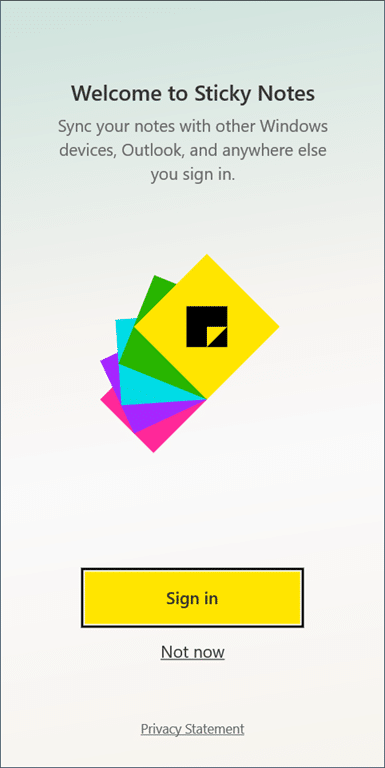 Clicking on the gear/settings will open the settings page of Sticky Notes. Step 3: Click the Sign in button. Step 4: Follow the directions in steps 2, 3 and 4 of Method 1 to sign in to Sticky Notes app. Step 1: If you are not getting the home or all notes screen and getting the open notes instead, click the menu icon (…) and then click All notes. Step 2: On the home or all notes screen of Sticky Notes app, click the settings or gear icon to open Sticky Notes settings page. 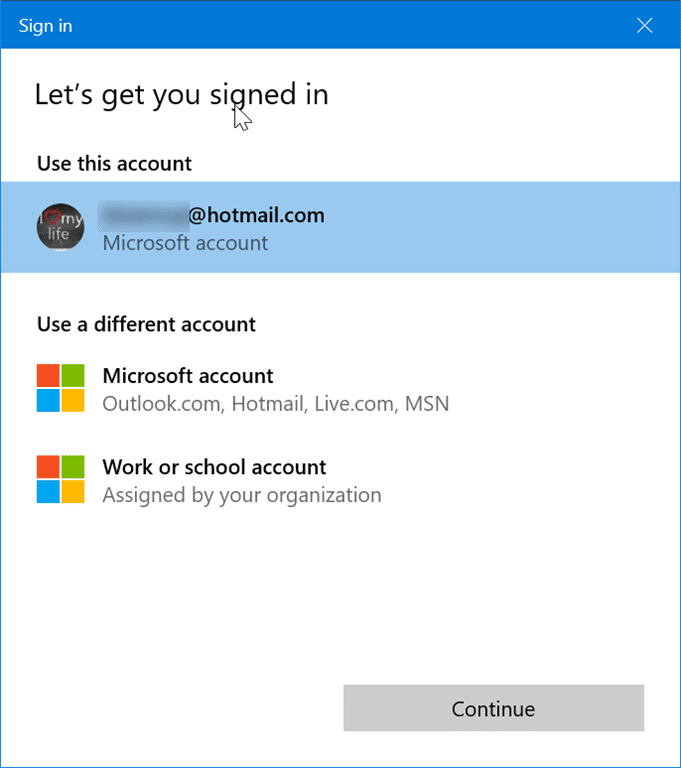 Step 2: Under your Microsoft account email address, Sign out link will appear. Click on the Sign out link and then click Sign out button when you get the confirmation dialog to sign out of Sticky Notes.